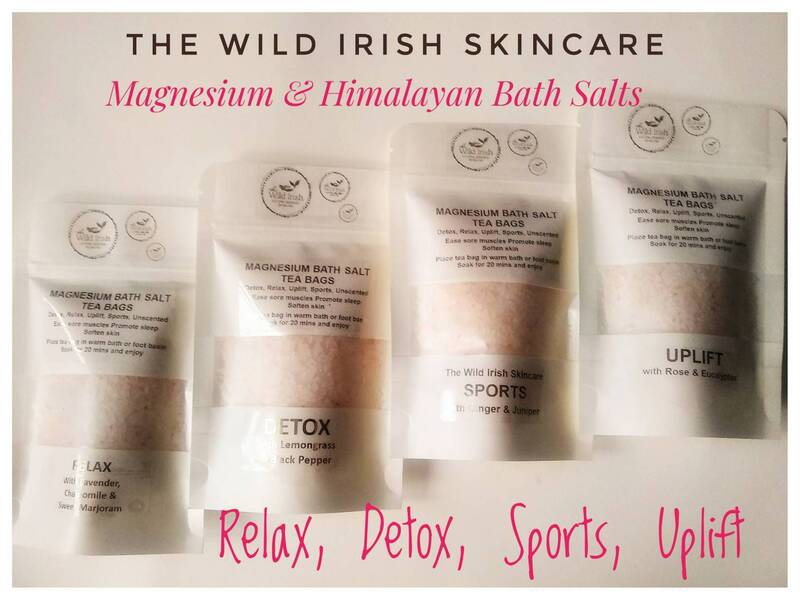 Magnesium & Hymalayian bath salts x 4. Muscle ache bath or foot soak. Softens and eases irritated skin. Made with Magnesium, Himalayan Salt, Oatmeal & essential oils. DETOX with lemongrass & black pepper. RELAX with Lavender, Chamomile & Sweet Marjoram. SPORTS with ginger & Juniper. Traditional Benefits: Relieve tired, achy muscles, Soften skin. To use: Add to bath or foot Lie back for 20 minutes and enjoy. For external use only. Essential oils not recommended for pregnant women or children under 6. Do not use on broken skin. Discontinue use if irritation occurs.